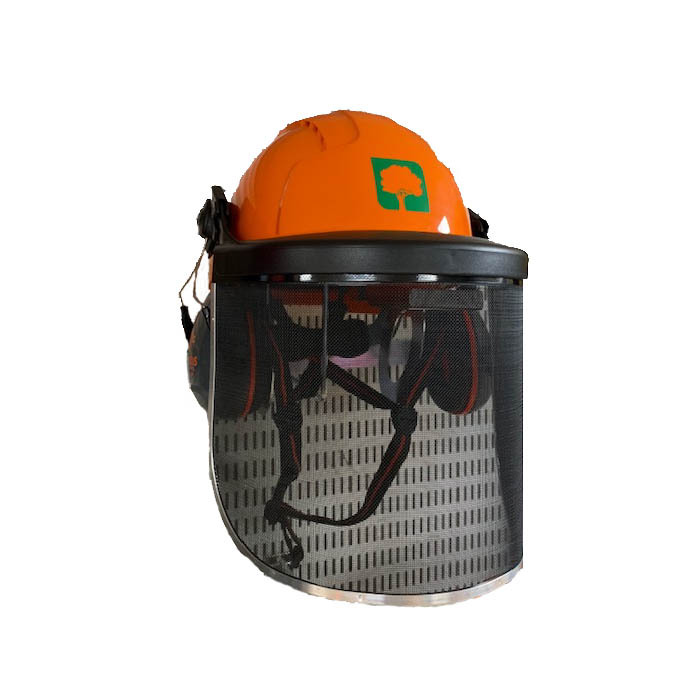 The EVOLite® Skyworker™ helmet has a suspension system and shell structure that has been designed to be used for tree work, industrial, mountaineering, rescue and leisure activities. Meeting the EN12492 standard. Conforms to the mandatory shock absorption and penetration requirements of EN397 industrial standard. Side, front and rear impact protection from the shock absorbing E.P.S liner. A 6-point Terylene harness system with a Revolution® wheel ratchet & 3D adjustment. Fully adjustable 4-point chinstrap with quick release buckle. Supplied in Orange with our F&A Tree logo on the front. 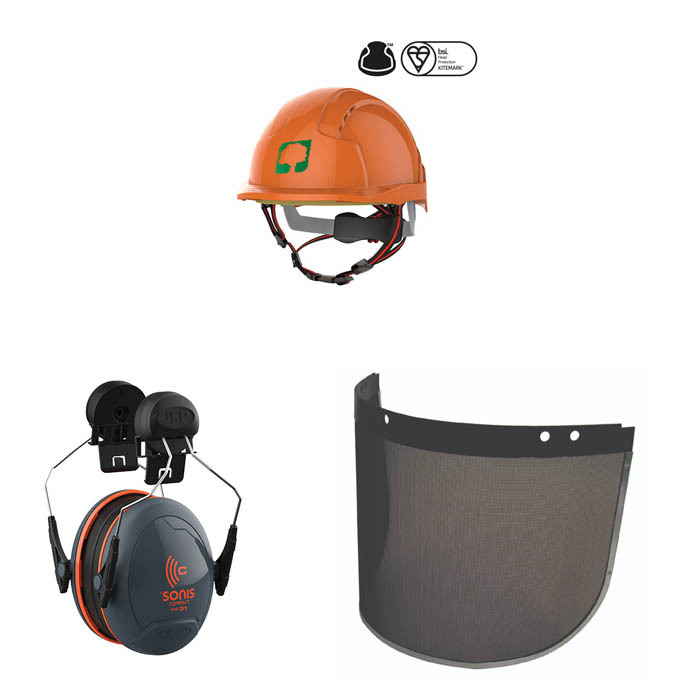 Comes supplied with SNR31 rated ear defenders & Surefit Carrier/Mesh Visor.